How Much Does a Missed Payment Affect Credit Score? A missed payment as a one-time affair won’t destroy your credit. In fact, most places would consider it a normal part of your credit history. However, if you have a history of missed payments, it could cause real trouble for your score. No one wants to ignore their financial responsibilities, but life happens. Unemployment throws off your income, unexpected emergencies tap into your savings… The list could go on and on. The truth is, it doesn’t matter much whether you miss payments several times in a row, or in dispersed accounts over time. Too much of them will indicate that you’re an unreliable and inconsistent investment―not exactly the type of reputation you want while seeking access to more credit. Financial institutions use your credit history to determine whether you’re a risky investment or not. If you can’t keep up with simple payments on the things you already owe, why would someone give you even more money? The real question is, how much does a missed payment affect credit score? It’s easy to think that someone offering you a line of credit is the same thing as someone giving you money. It’s really not. In fact, whether it’s credit cards or a loan, these types of things are financial obligations. Not gifts. That’s why it’s important to contemplate the financial load of any credit card you’re taking into consideration. If you aren’t ready for the burden, you’ll inevitably fall behind on payments. This becomes a vicious cycle that could put you in a bad situation. Everyone knows that unexpected financial emergencies happen. You could fall into a health crisis, you may lose your job, or there might be a home improvement emergency at home. But bad times aren’t a reason to shirk your financial obligations. If you miss a payment on one or more of your credit lines, lenders will see you as a risky prospect. They may stop issuing you a loan or increase the rate if it hasn’t been locked in yet. So, How Many Times is TOO Many? Honestly, even one time is too many. If you have been more than 30 days late on your payment, your creditor may report it to the credit reporting agencies (CRA). After it is reported, it will show up on your credit report. When it comes to FICO, a late payment will be evaluated on the basis of ‘how late’ it was. If you were 30 days late, it may not be that big of a deal. But anything more than that can add up incrementally. The problem gets exponentially worse the more you delay it. 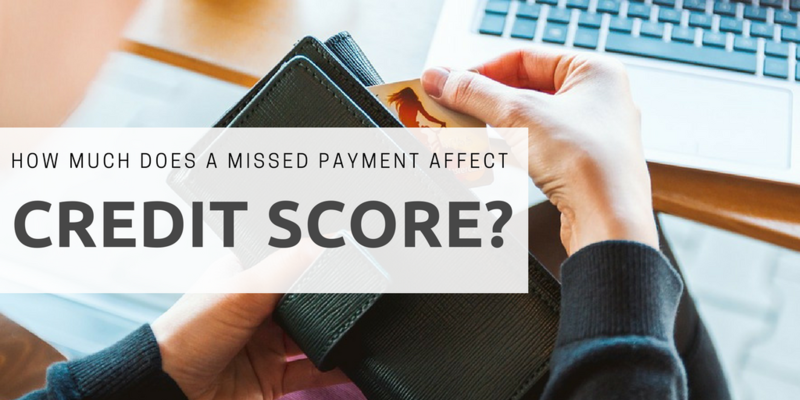 According to FICO data, a 30-day late payment can cause a 90 to 100-point drop on a score of a consumer who’s leading around 780. This is why it’s so important to make payments on time so that your score can be ahead of the curve. For someone who’s hovering at a 680, a 90-day credit card account could see a dip of 80 points if they’ve been late and hit with back to back delinquency issuances. Late payments do add up over time, but it depends on the case. Don’t take someone’s advice on the matter and take it from the experts. Contact us today if you’d like support repairing your credit score. By now, you’ve probably heard of the Cancelled Debt and Mortgage Forgiveness extension, a new tax bill passed by Congress in February. This tax rule provides relief to those who have faced foreclosure or canceled debts. Essentially, it means you can exclude that ‘income’ from being taxed. When a lender forgives or cancels your debt, the IRS considers it income. As such, it’s taxed as income. This can put prior homeowners in a precarious financial situation. When you accept money which you were required to repay to an institution, the law says that you kept the money instead of repaying. So, you owe taxes. Even if you never had the money on hand. That taxable income needs to be disclosed in your tax filing. Since the income goes to your household, you have to withhold the appropriate amount of taxes. The IRS is clear about the rule – you must include the canceled amount in your income. 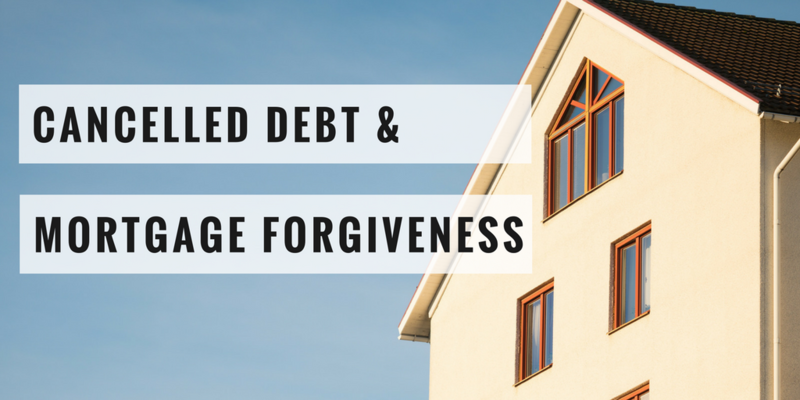 Lenders must report this act of debt forgiveness to the IRS by filling out form 1099-C. This alerts the government of the income, which will hold the taxpayer responsible for it. It notes your debt has been waived and should be included in the filing of the taxes at the end of the year. You would enter it as “other income” in line 21 of form 1040, to be exact. For people who experienced foreclosures or mortgage restructuring from 2007 to December 2016, this extension is for you. According to the Cancelled Debt and Mortgage Debt Relief Act, you don’t have to report the forgiven debt to the IRS. So, that means you also get a pass on paying the income tax bill you’d normally receive for such income. It was first issued in 2007 and scheduled to sunset on January 1, 2018. Thankfully, Bill H.R. 2543 was introduced to Congress in May to extend it through 2018. Now, anyone who faced mortgage restructurings or foreclosures prior to January 1, 2017, can qualify for the extension. It’s an interesting move in the ongoing efforts of Congress to ensure proper taxation. If you qualified before that date and didn’t take the opportunity at hand, you may have little time left over to file an amended tax return. You have about 3 years from the date you filed a return to amend it, so you might be able to take advantage of that now. The Act allows taxpayers to exclude about $2 Million of debt forgiven or canceled by mortgage lenders on their main home. You can claim it now by filling out the form IRS 982 with your amended tax return. If you need more assistance, contact us today. We’d be happy to answer any questions you may have, and help you strengthen your financial situation. Well, when done through a reputable company, a credit builder loan is an effective way to rebuild your credit. It’s a simple loan. You won’t find it widely advertised or even offered by smaller financial companies such as credit unions or banks. Financial companies look for reliable people. That means, when someone gives you a loan, you pay it. Show this reliability enough over time and banking institutions will begin to trust you. This type of loan supports you throughout the process. However, it’s important to keep an eye out for loans. As with any type of interest-based income stream, you’ll likely come in contact with plenty of unreputable places. Run. It’s important for banking institutions to trust you, but trust extends both ways. Not all institutions care about what’s best for you; they’re just in it for a profit. So, when choosing a company for your credit building loan, make sure to keep an eye out for a few red flags. Credit builder loans also go by names like ‘fresh loans’ or ‘restart loans’. They come with their own set of payment schemes and fulfillment obligations. This is a trap for many people as they don’t read the fine print, and say yes to anything that gets the ball rolling. They’re so desperate to get their credit back, they’ll do anything to get some relief. Unfortunately, sharks smell fear. This type of desperation attracts the wrong type of business person. If you want to survive in shark-infested waters, you need to watch out. Don’t see someone who isn’t officially accredited. Ask to see proof. If they become defensive or evasive, this is a clear sign to look elsewhere. Only meet with someone who does this as their full-time income. Don’t settle for a person who offers loans as a side hustle. Chances are, they’re just looking for a quick buck. Avoid places that have received poor ratings and reviews. Check Yelp, Google, and Facebook for feedback from previous customers. This often gives a good idea of who they are. Aside from the initial scam, you should also watch out for how things are progressing. If your credit score hasn’t improved within 3-4 months of taking the loan, then something is wrong here. This is a key indicator that something is not working. They don’t offer any direct solutions. Only intangibles like time. They only promise. No results. They don’t answer your questions. Only evade and change the subject. 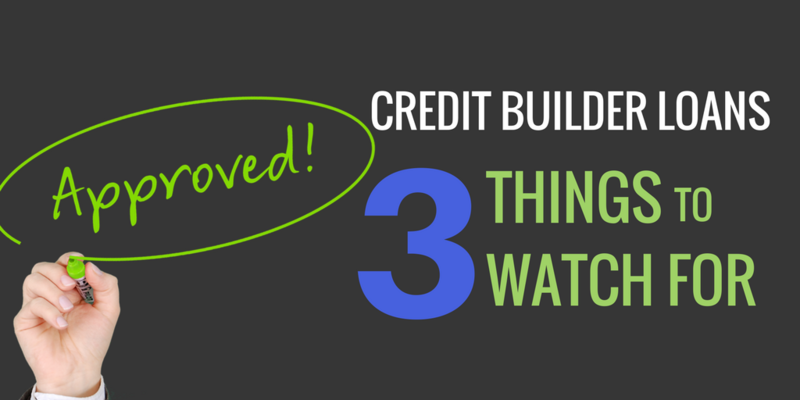 Want to make sure your credit builder loan is working? Ask the staff direct questions. Inquire about how your score is improving, along with what steps they’re taking to do even better. Sketch financial firms will often push you to take out too large of a loan. You know how much more of a debt burden you can handle — and so do they. Be wary of any company pushing you beyond your limits. Not only is it bad business, it could end up hurting your credit instead of helping it. For many people, taking out small loans over time makes more sense than taking a giant loan that you pull off after a few years of financing. A good financial institution wants to keep you financially healthy. Pressuring you beyond your limits is a huge red flag. Would you like to work with a reputable credit repair company? Contact us today! Following the path to increase credit score by 100 points isn’t as hard as it sounds. It might sound daunting now, but with the right skills and knowledge, it is doable. When applying for a car, home loan or even a new job, a 100 point credit increase could mean the answer between a definite YES and a resounding NO. It’ll take a bit of effort, but it’ll be worth it once you start getting accepted for the loans and jobs you’ve been trying to apply for. There are plenty of ways to raise your score. If you follow this advice within a short amount of time, you can get that much-needed boost. You need to make sure that your bills are paid and there are no delays on your side. Don’t get left behind because of a lack of diligence. In finances, this starts with paying all your bills on time. If you do have missed payments, it can significantly impact your score negatively. You also need to make sure that you get a detailed credit report as soon as possible. Don’t delay any further! Obtain more information about the things that are negatively affecting your score. The goal is to get as much information as possible in order to have a more detailed approach to creating good credit. When you reduce your credit card debt, you have a better shot at competing for better rates and quicker loan approval processes. When working with a lot of debt on your shoulder, your credit score reflects poorly for a longer period of time. It takes longer to get more loans, and it keeps creditors away from your profile. Loan companies don’t want to take a risk and you might be wrongly termed as a risky prospect. 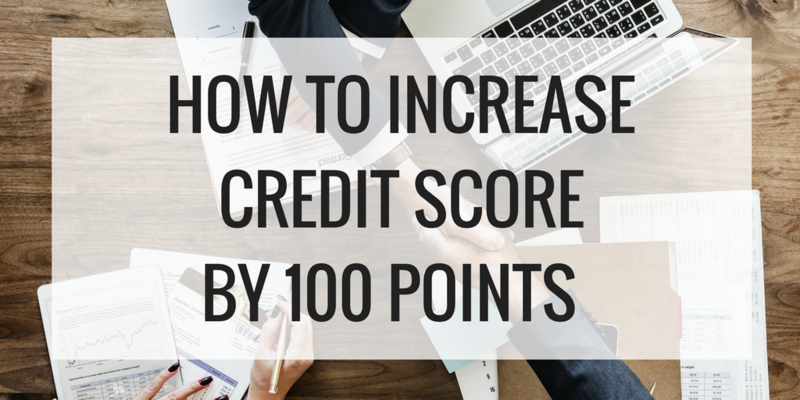 Want to know the quickest way to increase credit score by 100 points? Do a thorough analysis of your credit score. When you conduct a check-up on your score, you may be able to spot inaccuracies that may be damning your score. If you can fix them now, before they snowball into something worse, then you’re in a better position to build your credit up again. No matter the issue, Go Clean Credit provides the solution. Our credit repair programs puts you back on the path of financial success. While each situation is different, most people can get started for just $99 per month. It’s a small price to pay since we could save you from stressful situations and financial inconvenience once implemented. You can get on track in as little as 5 months. We also have solutions for debt resolution, as well as programs for those who went through a foreclosure or short sale. All this help, and more, is just a phone call or appointment request away! 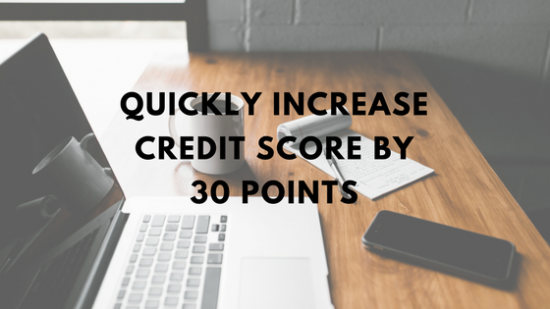 Although it may seem difficult at first, quickly increasing credit score by 30 points isn’t too difficult. It just requires hard work and patience. Doing the right things can make a big difference in your credit score. Apply for an apartment, purchase a car or a land a new job… These huge upgrades are just a few of the things you can do. Ready to create more value for yourself and your loved ones by increasing your credit score by 30 points or more? Do everything you can to avoid late payments to creditors. Setting up recurring payments ensures you always get the bill paid on time. Choose a format and schedule that best suits your needs. You can negotiate your automatic payments to get a better rate. If you faced repayment issues in the past, don’t worry. The poor credit marks fade away after a while. However, it’s never too early to start rebuilding. Use the tips you find in this article to start your journey back to creditworthiness. It is not as hard as it seems right now. It is very important to appear dependable and stable when it comes to your payments and credit. Use a dedicated credit card for your utility bills so that you can build your credit score over time. You do not want to wait until the end of the month to pay off your dues, as that might not reflect over time. Also, you want to pay off whatever you owe a week prior so that you can show that you are dependable income-wise. Lastly, you want to have a card dedicated to paying rent, which shows that you can handle multiple responsibilities. If you have a lot of debt recurring over time, find strategies to reduce it. Negotiate rates and stop carrying forward unstructured debt into the next month. About 20-30% of your score is due to the amount of debt you carry forward. When restructuring debt, your credit score will likely increase after a month or two. Another way to show that you are a safe bet is by paying off your debt before applying for new ones. This shows that you are a safe investment to bet on. Creditors like borrowers who pay off their debt. You want to be on top of all things related to your credit score. There may be times where you feel like your score doesn’t reflect your existing credit standing. You want to report any discrepancies that you find and ensure that you talk with your financial institutions to work with them in enhancing your score. If you see any problems in the way that your score is being reflected, take action immediately. You should also keep an annual check on how your score has performed over time and talk to consultants on methods for improving it. No matter what your situation, Go Clean Credit has a solution. We have many credit repair programs that are available to help you overcome your credit situation and place you back on the path to financial success. Real credit restoration is not a one size fits all model and we tailor your needs to the right program, but most people can start for just $99 per month. We have fixed price programs that get you back on track in as little as 5 months, debt resolution solutions, programs geared toward people who have had recent short sales or foreclosures and many others. Help is just a free phone call away or you can fill out an appointment request. Contact Go Clean Credit to schedule a free consultation today. Registered and/or bonded as required and serving the following markets : AL, AK, AZ, CO, CT, FL, HI, KY, MI, MT, NC, ND, NJ, NM, NY, RI, SD, TX, VT, WY.